When most people think about lottery conspiracy theories, the first thing that usually comes to mind is the curse that purportedly plagues the big winners. Those who take home millions supposedly face tragic circumstances and personal and professional collapse, all because they happened to pick the right numbers in a game of chance. Much has been said about the people stepping forward to claim their prizes, but still there is suspicion about the game itself. Is the Powerball rigged? The far reaches of the Internet seem to think so, and they've got copious conspiracy theories on the subject. A major scandal recently rocked the Multi-State Lottery Association, resulting in jail time for a former security director who allegedly fixed an Iowa game to win the $16.5 million jackpot. Edward Tipton allegedly used his position to his advantage, installing undetectable, self-destructing software to rig the numbers in his favor. A further investigation revealed that Tipton reportedly might have done the same thing in four other states. He was found guilty of tampering with lottery equipment and sentenced to 10 years in prison. Tipton denied that he had purchased the ticket. Despite catching Tipton (and the fact that his conviction had to do with computer-generated numbers, not physical numbers on balls like the Powerball has), not everything is rosy for those playing the lotto. Due to the fact that the choice of numbers rose from 59 to 69 options, the odds of winning are now even worse. That might not matter if you buy into any of these conspiracy theories, however. Bustle has reached out to Powerball officials for comment on the legitimacy of the game. Despite the name of the Illuminati Conspiracy Blog, its author does not believe the shadowy organization has a hand in controlling who wins the Powerball. They think that the mafia is rigging the Powerball, and question where past winners hail from, as well as their own supposed mob ties. Those who are designated as winners are supposedly paid in hush money up to $1 million for the mafia to claim the rest of the earnings and continue their opaque yet profitable enterprise. All the times in which nobody gets the correct number combination only show that the mafia is feeling particularly greedy, according to the blog. Another theory about those supposedly behind the lottery making a big profit has less to do with potential gangs and more to do with a legitimate enterprise — namely, the government. A popular theory about the Powerball is that the government is preventing a winner from stepping forward so that the prize money can balloon to a high enough amount to help the country pay off its massive debt via a special tax. Sure, the 30 percent flat tax is an impressive boon for the IRS, but it's certainly not going to solve the nation's $478 billion budget deficit in one fell swoop. There's not a whole lot of thought behind the Illuminati conspiracy. It states simply that either the Illuminati is controlling the Powerball, or that once you win, you're contractually obligated to join them. No one can quite say why either way. Going with the budget deficit theory, this one states that the Powerball frenzy is supposedly being used as a way to jump-start the economy as a whole, via to the massive amount of people forking over $2 for a single ticket. It slightly overlooks the taxes that the government will take out of the winnings, and instead focuses on the mass popularity of the game itself. The amount of tickets being purchased certainly isn't hurting the country, it seems. 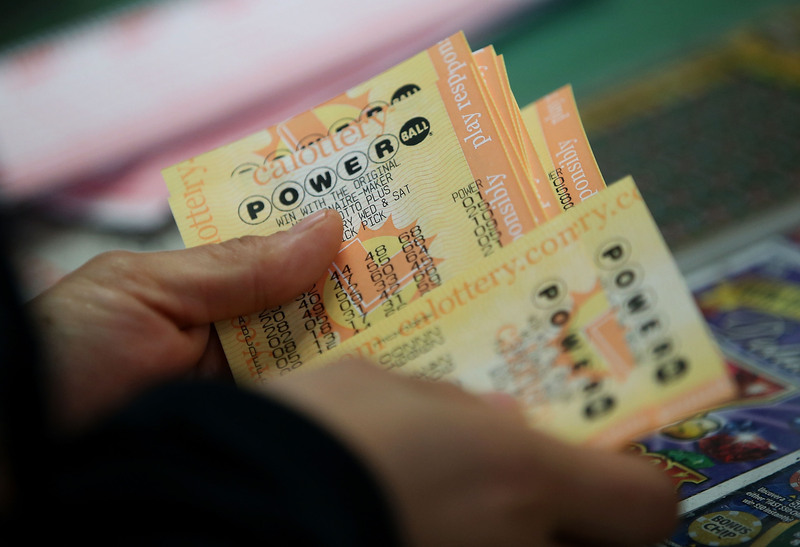 Evan Redmon doesn't think you should even waste your time buying a Powerball ticket, because he thinks that the winners are chosen beforehand — hence the strange demographics of those who take home major prizes. It's unclear why the lotto powers that be pick the winners that they do, but Redmon is incredibly suspicious about what he perceives as a primarily Caucasian group of winners. This theory about the Powerball suggests that the game is more than just rigged — it's an absolute joke, akin to the 2000 John Travolta comedy Lucky Numbers. An anonymous contributor suggests that the premise that the drawing is a live, televised event is the first indication that it might not be real, and that paid actors are hired to claim the jackpot prize when the correct sequence of numbers does in fact hit. It's unclear where this money goes to afterward, or just why the alleged actors would be participating.